What Maybelline say’s about this product: Bringing New York Street Art in a bottle under the much-loved Color Show franchise, Maybelline New York presents the all new Color Show Go Graffiti; a range of nine nail polishes with special innovative effects that will keep you captivated this Spring Summer. Now get nail art at your convenience with interesting effects that form the Color Show Graffiti range. Flash your graphic nails to make a fashion statement this season with the most playful range of nail polishes. 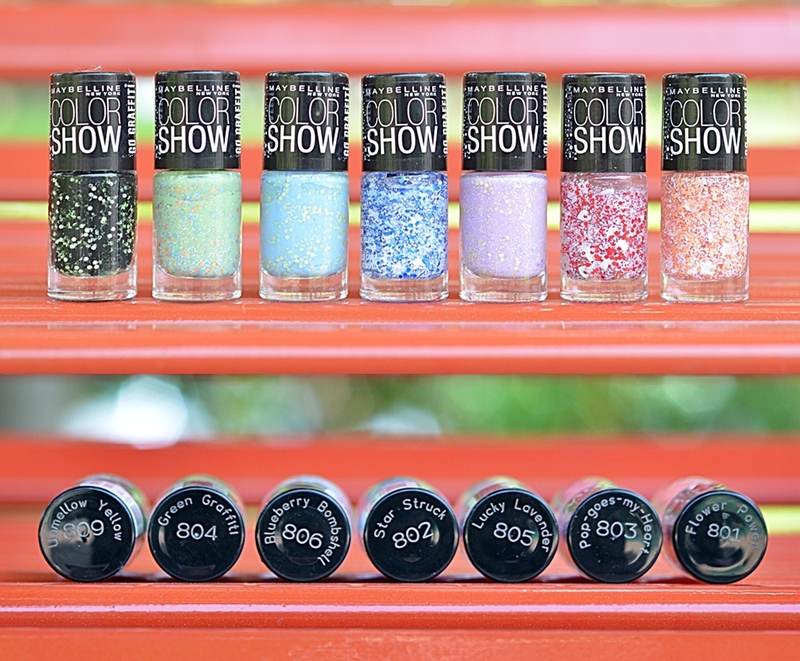 oomph factor to any plain nail paint; basically these are nail art in a bottle. Maybelline color show nail paints are. which are priced at Rs.500 each. pastel nail paints with contrasting color hexagon pattern in them. paint base fun and exciting.